At BGD&C Custom Homes, commitment to understanding client lifestyles and personal needs and wants is foremost. If our client desires a unique design element or specialty space, our team works together with the best artisans and craftsmen to engineer and produce the perfect solution. 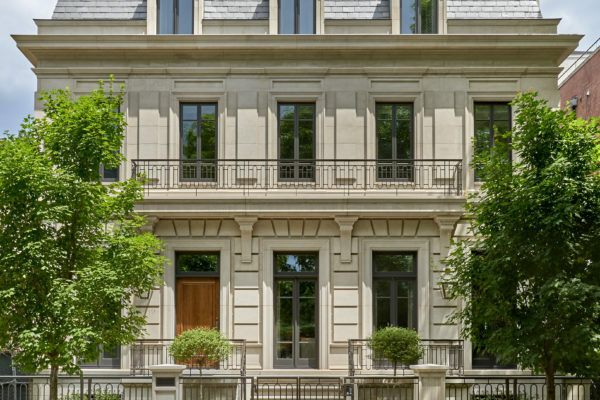 This is the BGD&C difference: The ability to incorporate truly unique luxury elements into our clients’ urban homes in Lincoln Park and the Gold Coast is what sets us apart from other custom home builders. Featured in Chicago Magazine, this 8500SF new construction, Lincoln Park Mediterranean home resides on two wide lots and was designed for a young family. BGD&C designed a modest home emphasizing an expansive side yard and terrace. 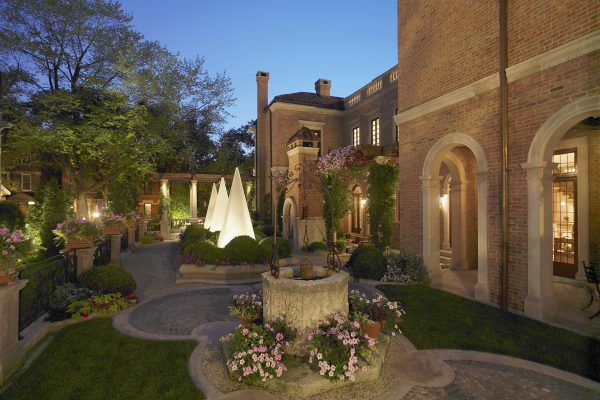 ﻿The front of the home was kept simple, infused with a traditional Italianate design. The entry door is a custom fabricated walnut door with a glass transom. 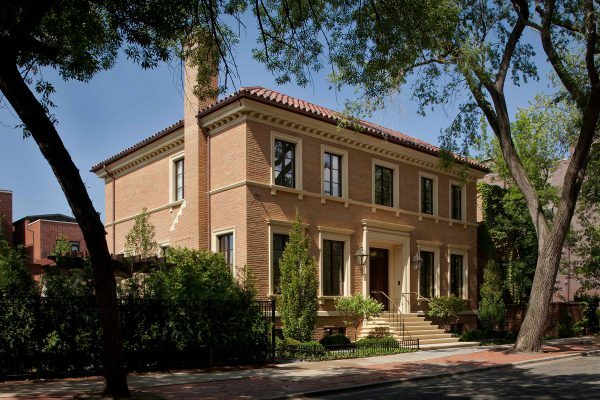 The lack of sidelights maintains privacy from the street while the stained walnut compliments the exterior palette of red clay roof tiles, brick, and creamy limestone. Opening onto the terrace, the French doors allow light to drench the interior family room. The clients did not want to walk into their foyer and have the stair be the first thing one sees. As an alternative, the stair is central to the floor plan, not visible from the foyer, allowing for a more fluid layout. Being both a beautiful piece of ornamentation, and a place to warm your feet on a cold winter’s night, the fireplace is a true union of function and aesthetic. Not only must it work properly (nobody wants a room full of smoke!) but the end product also needs to fulfill the client’s design vision. At BGD&C Custom Homes, it is our strong commitment to the highest levels of quality and engineering that allow for a successful custom fireplace. 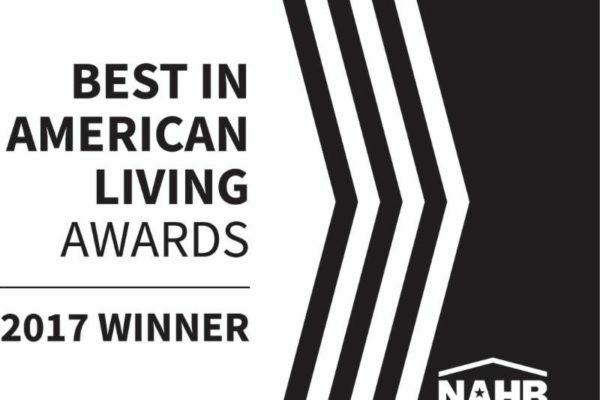 For their Lincoln Park Transitional Home, BGD&C Custom Homes has won an award for 2017 Best In American Living (BALA) by the National Association of Home Builders (NAHB). Award levels, including platinum, gold, silver, and Home of the Year, will be announced at the NAHB International Builders’ Show in January. 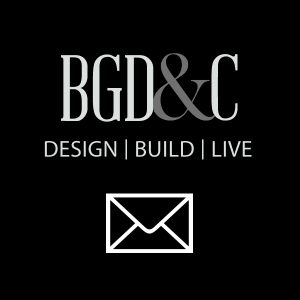 At BGD&C we are known for our meticulous attention to detail and high standards for construction; principles that are certainly showcased with a grand stair. So when a client requests that the main stair be a focal point of the home, we are more than happy to oblige by designing an architectural centerpiece with perfect details and striking forms. 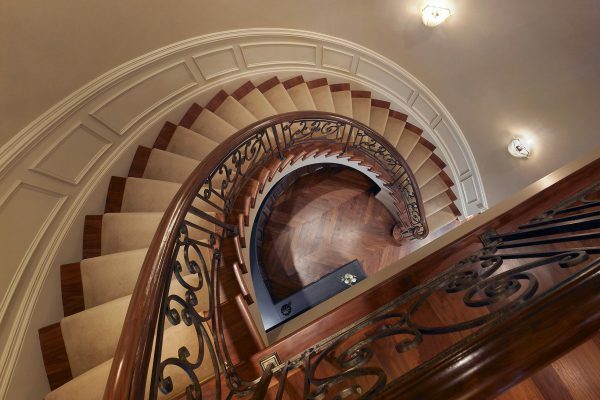 Whether the design is traditional or modern, these stately staircases always bring visual interest to the home and are so much more than just a means to get from one floor to the next. Summer is an amazing time in Chicago. We emerge from months of hibernation to enjoy our beautiful city – bike rides along the lakefront, brunch at our favorite roof top gardens, and backyard BBQs with friends and neighbors. Unfortunately, summer is all too short here, so at BGD&C we do our best to help our clients milk every last drop of those precious sunny days and magical warm nights with expansive hardscapes, outdoor fireplaces, and covered porches. 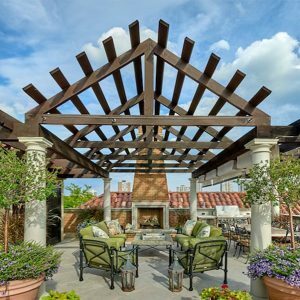 We also understand outdoor space is at a premium in the Lincoln Park and Gold Coast areas, which is why we are always looking to incorporate roof decks, loggias, and balconies into our custom home designs.